Tired of meetings that waste your time? Extend Microsoft Office 365 with support for structured meetings, the Decisions Meeting Secretary ™ for Outlook makes it easy to plan, organize and run quality meetings. Simply go to your calendar to access materials or collaborate on documents directly from Outlook, mobile and tablets. Decisions’ customizable templates make it easy to start from scratch, with all materials archived in a secure Microsoft Office 365 repository. With Decisions™ the leader can focus on the business and leading the team, and get the most out of the smart and competent team members. In addition, our solution promotes a culture of transparency - track and follow implementation throughout the organization. 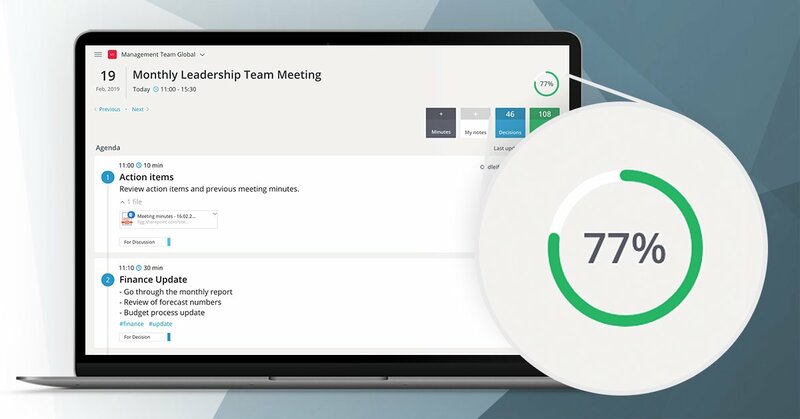 With Decisions™ you will never lose track of your meeting action items – they are right there!